Farrar, Straus and Giroux, 9780374293840, 336pp. 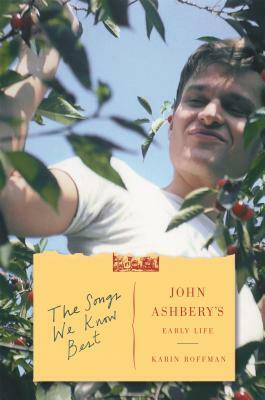 The Songs We Know Best, the first comprehensive biography of the early life of John Ashbery—the winner of nearly every major American literary award—reveals the unusual ways he drew on the details of his youth to populate the poems that made him one of the most original and unpredictable forces of the last century in arts and letters. Drawing on unpublished correspondence, juvenilia, and childhood diaries as well as more than one hundred hours of conversation with the poet, Karin Roffman offers an insightful portrayal of Ashbery during the twenty-eight years that led up to his stunning debut, Some Trees, chosen by W. H. Auden for the 1955 Yale Younger Poets Prize. Roffman shows how Ashbery’s poetry arose from his early lessons both on the family farm and in 1950s New York City—a bohemian existence that teemed with artistic fervor and radical innovations inspired by Dada and surrealism as well as lifelong friendships with painters and writers such as Frank O’Hara, Jane Freilicher, Nell Blaine, Kenneth Koch, James Schuyler, and Willem de Kooning. Ashbery has a reputation for being enigmatic and playfully elusive, but Roffman’s biography reveals his deft mining of his early life for the flint and tinder from which his provocative later poems grew, producing a body of work that he calls “the experience of experience,” an intertwining of life and art in extraordinarily intimate ways. Karin Roffman has taught literature at Yale, West Point, and Bard, and is the author of From the Modernist Annex. She lives in New Haven, Connecticut.